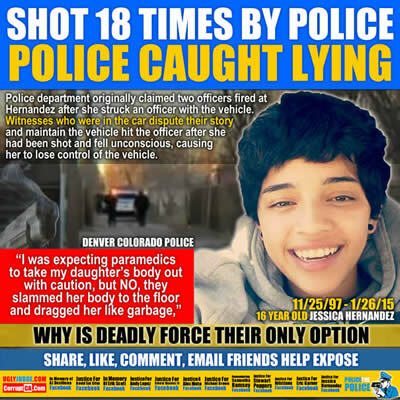 Jessica Hernandez of Denver Colorado is another typical Police murder where police go directly to deadly force even if no one was in any danger. Then they lie and manipulate the story to fit killer cops to protect and serve criminals. Family is told their child was shot once but later the coroner informed them no less than 18 bullets had torn into this child’s body. This again is police minimizing their actions and accountability. ABOVE THE LAW, if anyone else lied about the facts to police they could be looking at jail time. Police don’t care because they feel above the law. Police are delaying info from getting to the public because its about MONEY not justice, they want people to forget how their own officers are in fact paid “legalized” killers and criminals because they have the law and court on their side. 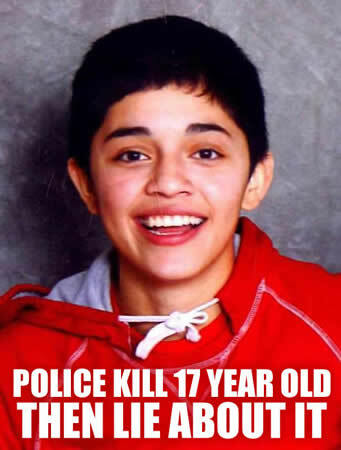 The shooting death of 17-year-old Jessica Hernandez has opened another debate about police transparency during investigations of their own officers. The Denver Police Department has pledged to be open with the community while releasing few details about the events that transpired early Monday in an alley in the Park Hill neighborhood. Colorado law allows police and sheriff’s departments wide discretion in deciding how much information they release and when they will release it. However, critics argue that secrecy hinders police efforts to build trust in the communities they serve. But others who advocate for more openness say departments in other states quickly release information on critical events and still manage to produce quality investigations. “There are jurisdictions in other states that are much more disclosure friendly, and it appears that law enforcement is able to function just as well in those jurisdictions where they have more formidable sunshine laws,” said Mark Silverstein, legal director for the American Civil Liberties Union of Colorado. Silverstein cited Florida as a state with open-records laws that require departments to release more information. He also said his organization has been able to receive entire internal affairs case files in Ohio after making requests. All of this talk about transparency also strikes deep with those who say they lack trust in the department. 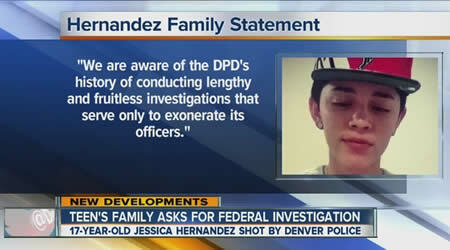 The Colorado Latino Forum on Friday called for an outside prosecutor to take on Hernandez’s case. It also criticized the police department for releasing very little information and then “shifting statements multiple times over the course of the week,” said Julie Gonzales, the organization’s statewide co-chair.